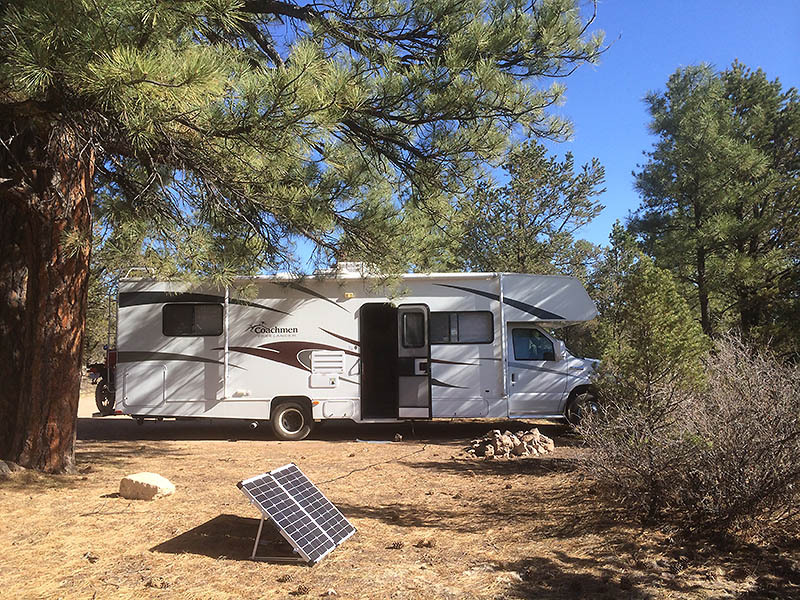 the Kaibab National Forest, at GPS coordinates N 35,96821º, W 112.12428º. The elevation here is about 6100’. This spot is close to the Grand Canyon airport so it’s abuzz with small planes and helicopters packed with sight seers zipping by overhead during the day. At night, at least last night, the first of several I expect to stay here, it was quiet. From this location is but a short walk–maybe 10 minutes if I recall correctly–into Tusayan where you will find restaurants and other things you might expect in a small town close to the Grand Canyon.